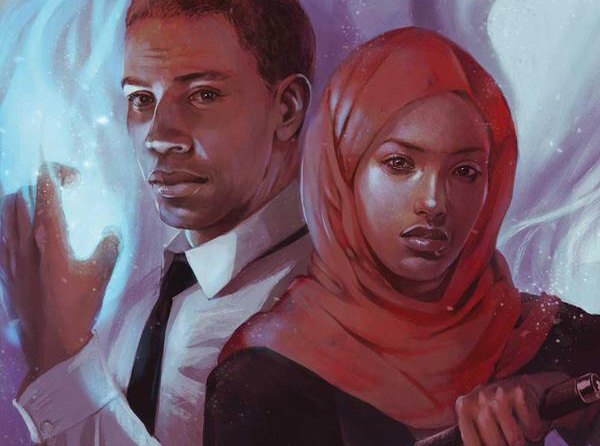 RIVERS OF LONDON #3.1: Black Mould, Part 1 Review @comicstitan | Warped Factor - Words in the Key of Geek. There are oddly conflicting emotions playing about our brains having read Rivers of London #3.1. Part of us – the cautious, twice-bitten part – cautions us not to get too excited because we’ve been here before with the Rivers of London comic-books: they always start strong, rich in ideas and creepy in imagery. And twice now, by the time the final issue’s come around, the story’s either petered out (or even Petered out), or rushed to try and provide a satisfying conclusion and not quite got there. Let’s play the game again, and give our Inner Child the benefit of one last doubt, shall we? 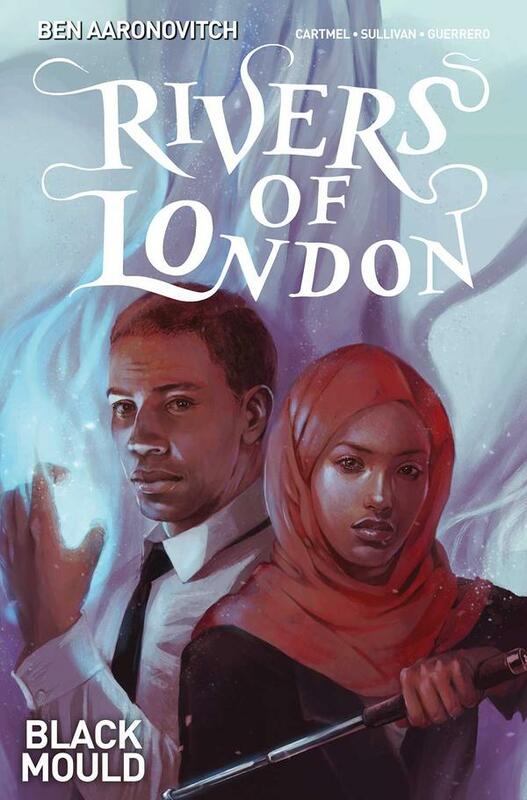 If we don’t, this review will come off sounding misanthropic to the point of meanness, and Rivers of London has always deserved rather more than that. Issue #3.1 rockets off the page like a black mouldy bull at a gate – the dark force with which Peter Grant and Sahra Guleed are faced in this issue, it’s probably no spoiler to tell you, is a form of black mould, which starts as a spot on a wall, and then goes mad in every direction you need it to, in order to give you the stark raving willies and take to your kitchen with a scrubbing brush and your disinfectant of choice. The thing about mould is that it sees all our bright, sunlit pretensions to happy smiling humanity and waltzes on by them to our primal childish fears. Quite apart from the fact that it looks like how you imagine cancer to look, it’s a visible sign of something that ultimately defeats us – it’s a sign of age, and death, and putrefaction, of victory for everything not-we. And that’s when its standing still, or moving and growing with the normal speed to which we are as humans, accustomed. If you animate a force like that, allow it the possibility of being shapeless and formless, and so able to hide as a tiny dot, or swirl as a black two-dimensional vortex, or reach out arms to grab you, or hold you solidly prisoner, as if acting with an innate intelligence – then you’ve got yourself a suitably horrific Hallowe’en ball game. Batter up, comic-book readers. Batter right the hell up. In particular, there’s a short sequence in this issue where Sahra is checking on a friend’s house, and spots a tiny patch of black mould, dismissing it as ‘not exactly a major infestation. She walks away, singing to herself, and over the next few panels, what happens is textbook horror-movie creepy, because there’s a predatory nature at work in the house, and Sahra herself is out of shot, singing, happy – the very essence of that daylight sunshine illusion of life that allows human beings to get from day to day. It’s rare for a comic-book to actually tighten the throat and push a heaviness of fear into the chest, but those panels? Yep. Big tick there for the combination of talents at work behind the scenes on Rivers of London. Another joy about this issue is the reversal of fortunes it represents. Yes, it’s scary as all-get-out during that brief attack on Sahra, but Peter is able to MacGyver a solution to her overactive mould problem, and the whole thing is beginning to look like a nifty Rivers of London one-shot. Annnnd then you see the final panel, and the scale of the mould problem facing Peter and Sahra suddenly becomes gloriously, terrifyingly apparent, and you strap yourself in for another handful of issues that, at the end of this one have a kind of Die Hard, Suicide Squad feel about them, in terms of the scale of what’s likely to be coming. So let’s re-cap. Body Work, the first comic-book story arc for Rivers of London was heavy on world-building and exposition, light on logic and rushed its ending. Night Witch, the second arc, was more involved and complex, but unravelled towards the end, snatching some coherence from a frenetic finale that clung on to sense by its fingernails. Black Mould, issue #1 is pretty much entirely satisfying on its own, so in story terms, it’s all Aaronovitch and Cartmel’s to lose at this point. You know what that final panel’s like? It’s like that scene in the original Ghostbusters. Everybody’s up on the roof, they’ve been asked to choose the form of the Destructor, and then you hear it coming. You see its face, glimpsed between skyscrapers – yep, it’s the Stay-Puft Marshmallow Man. This issue has a Stay-Puft Marshmallow Man ending – huge, unexpected, game-changing, and more than likely to lead you to utter a quiet ‘Mother Puss-Bucket’ in anticipation of what’s to come. Oh and did we mention the Easter Egg? There’s a kind of Easter Egg in this story – uber-wizard Nightingale and Tom Debden, mechanic to the magicians, take up a few pages here doing battle with a kind of comedy left-over from a previous story. It’s done rather better, impact-wise, than the main thrust of that story was, and whether it becomes anything of relevance in this arc has yet to be seen, but certainly it works on the level of an added extra or out-take. We’ve waxed entirely lyrical on the combination of Sullivan and Guerrero before, but Black Mould #1 is the best issue of Rivers of London to date, simply because the clarity of the central idea and the pace of its scares here fully lives up to that duo’s capabilities. Go get it today, and revel in some shudders down the spine.